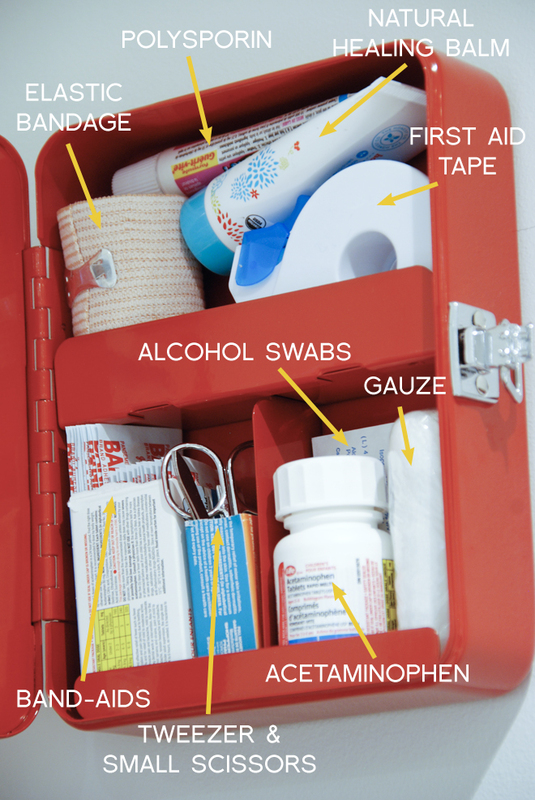 Do you have a first aid kit in your house? I have to admit that until now, we didn't. We do have a medicine cabinet where we had all the supplies stored but they weren't organized or easy to find. Thank goodness we haven't had any emergencies because I'd have to fling everything to floor just to find a band-aid! Time to change that. 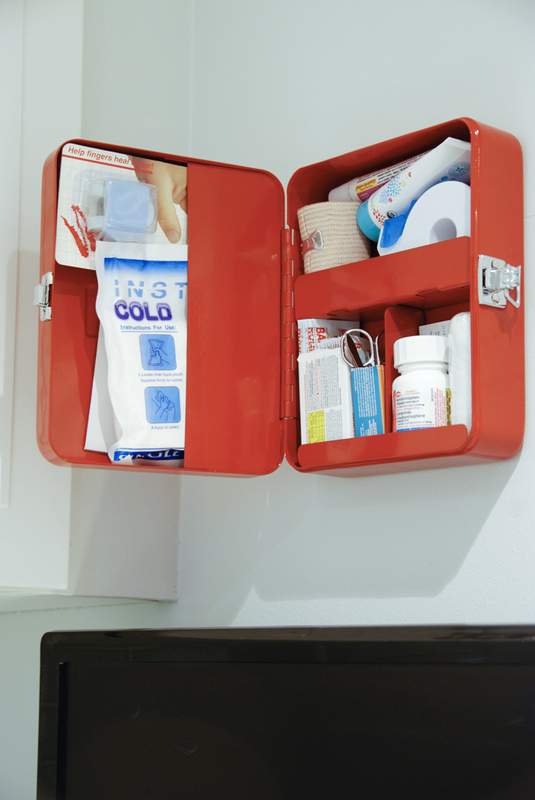 I spotted this first aid box at West Elm and had to have it. 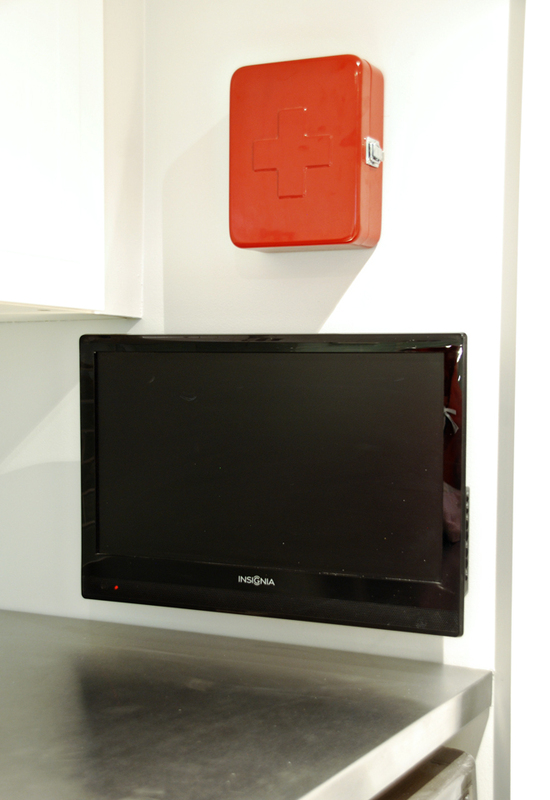 Its so cute and compact - which, you know, is important when you're dealing with blood and injuries ;) We put it in the laundry room, just above HandyMan's TV. 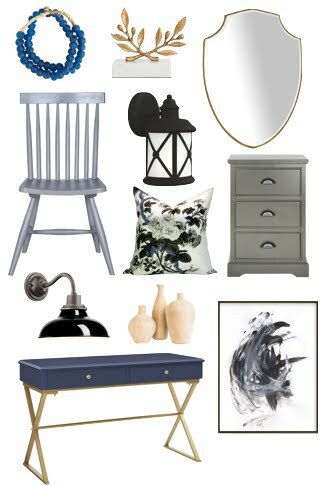 The laundry room has a sink and would be the first place we'd run if there was, say, a garage or crafting mishap so putting the kit here made sense. 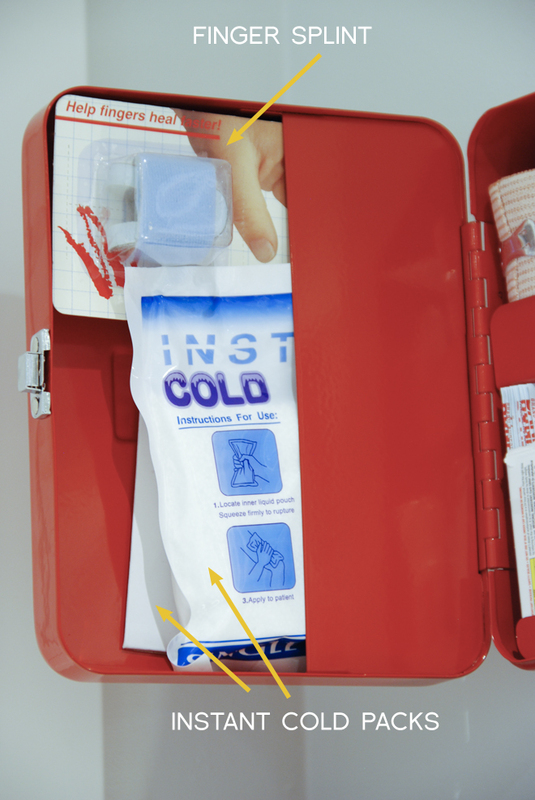 I did a bit of googling to find out what to put in a first aid kit. The hydrogen peroxide wouldn't fit so that's still in the medicine cabinet. I was going to put some hydrocortisone cream but was told that The Honest Co. Natural Healing Balm I got at AltSummit was good for insect bites and irritations so we'll give that a try.